Twelve photos of charismatic and handsome Choi Si Won who plays the role of maritime police in Poseidon has exposed recently, attracting the attention of countless female fans. Choi Siwon plays the character of Kim Sun Woo in KBS’s TV series Poseidon broadcast on Monday and Tuesday, who is one of the core member of Coast Guard Investigation 9 team which is setup to pursue head of criminal organization Choi Hye Gun. The immersion of Choi Si-won into the character has reproduced perfectly the charm of Kim Sun Woo who has calm yet meticulous analytical skill and outstanding appearance. 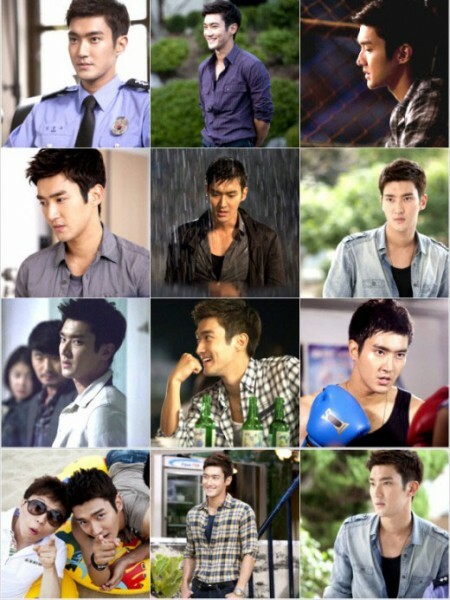 In the photos, Choi Si Won displays a varity of charms, making people sighs again and again. Sometimes calm, sometimes domineering, sometimes sad, and sometimes the appearance of genuine have clutched the heart of female fans. The most impressive thing is his meticulous way of analytical thinking. In the ninth episode aired on October 17th, 2011, Choi Si Won, together with Lee Sung Jae and Jang Dong-jik started a operation codenamed “Poseidon,” showing his more calm side. In addition, the love relationship with Lee Si Young has also made ​​him more attractive. No matter it’s the moderate temperament displayed when consoling Lee Si Young or warm personality displayed when playing with children, all has deeply impressed the audience.